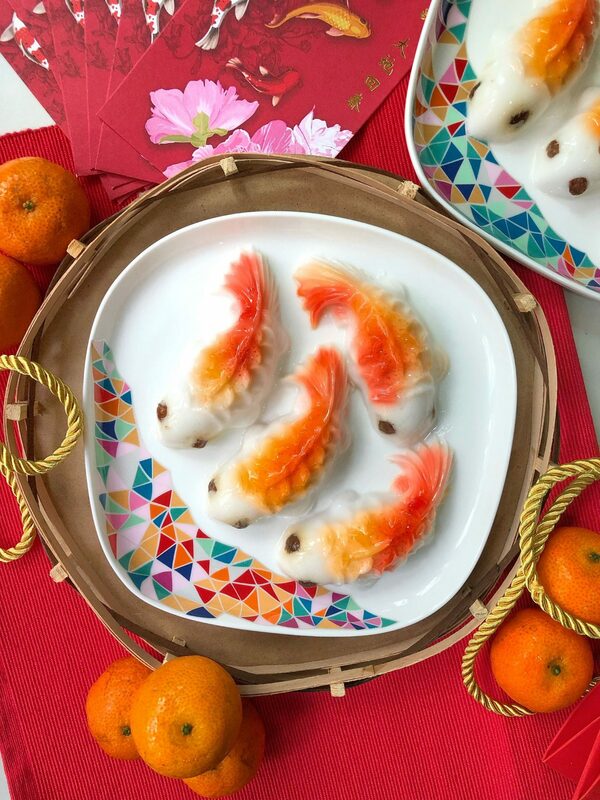 This Koi Fish Jelly is the perfect treat to serve your guests during Chinese New Year! They are sure to WOW your guest! It’s also so easy to make 🙂 Here’s wishing everyone a Happy and Prosperous New Year. 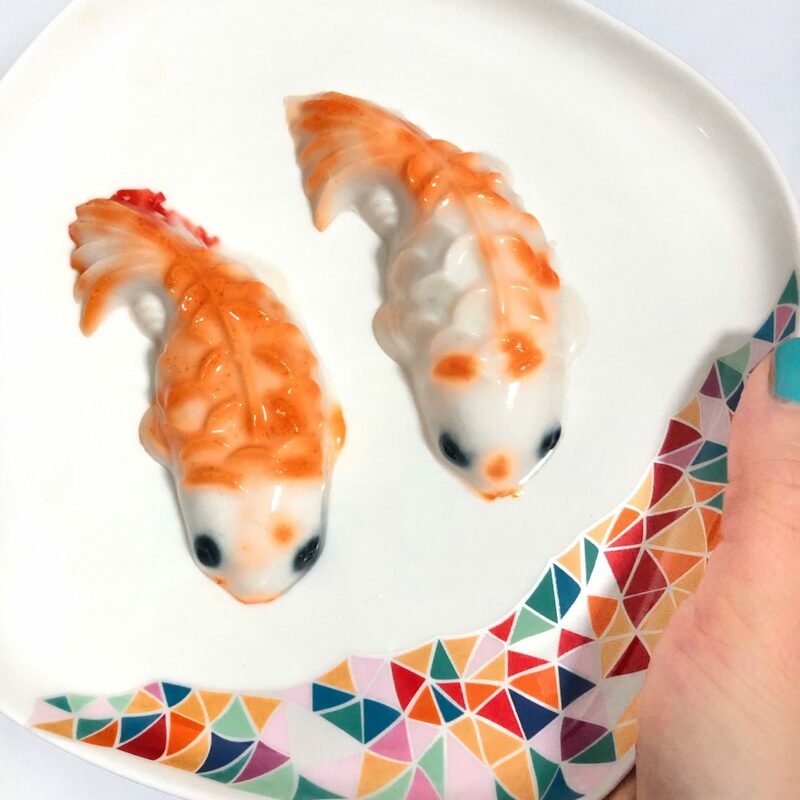 It’s pretty easy to make this Koi Fish Jelly. Nothing extremely fancy. All it needs is abit of waiting but I promise, the results are as what you see! SO apt for Chinese New Year! 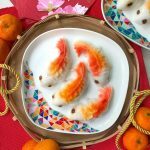 Other noteworthy Chinese New Year goodies I’ve made were my ALL TIME FAMOUS Dried Pineapple Flowers. 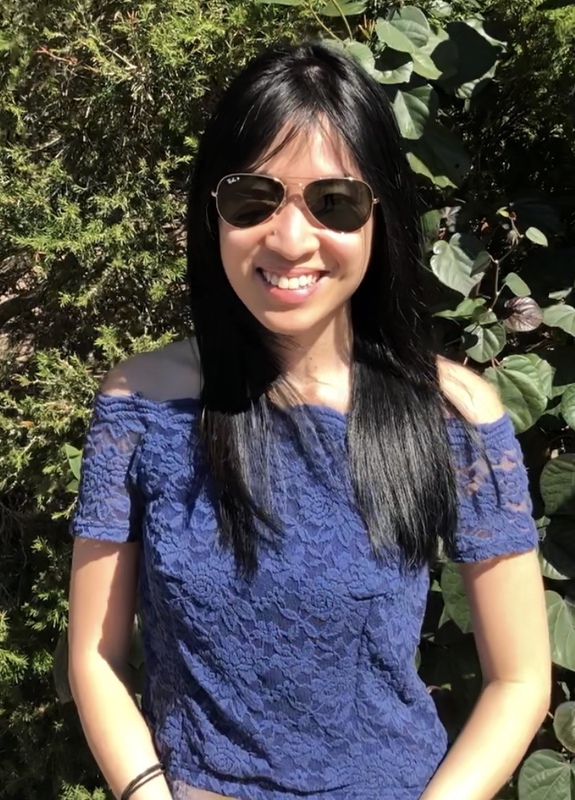 I had received so much praises on them, that i think it’s time to make a different version to suit another occasion. Also if you’re feeling or craving something tangy, you’ll love this Tangy Pineapple Curd. 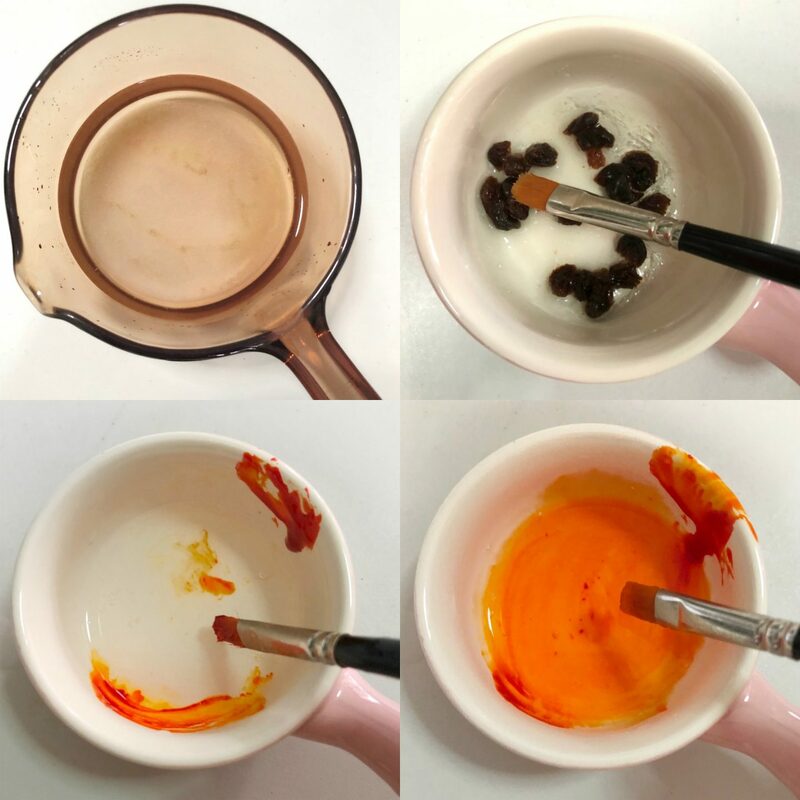 Serve a dessert with this during CNY, and your guests will thank you for this! 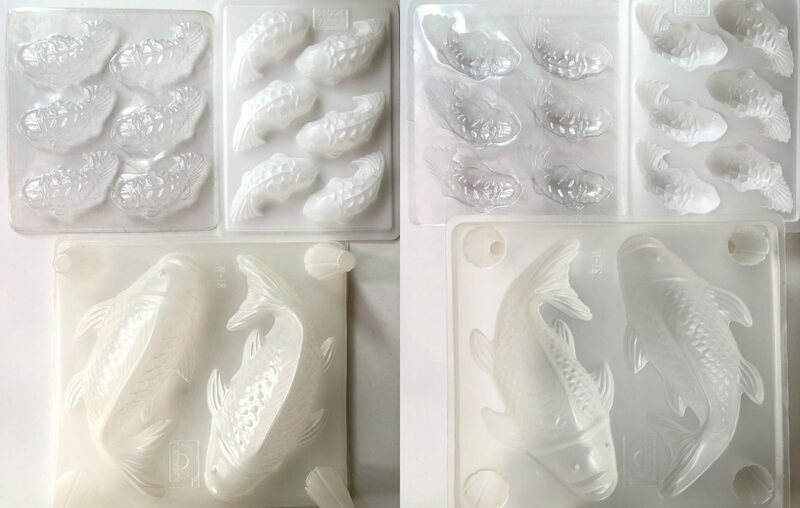 As you can see below, I have the bigger Koi Fish Jelly Moulds as well as the smaller ones that come in 6. 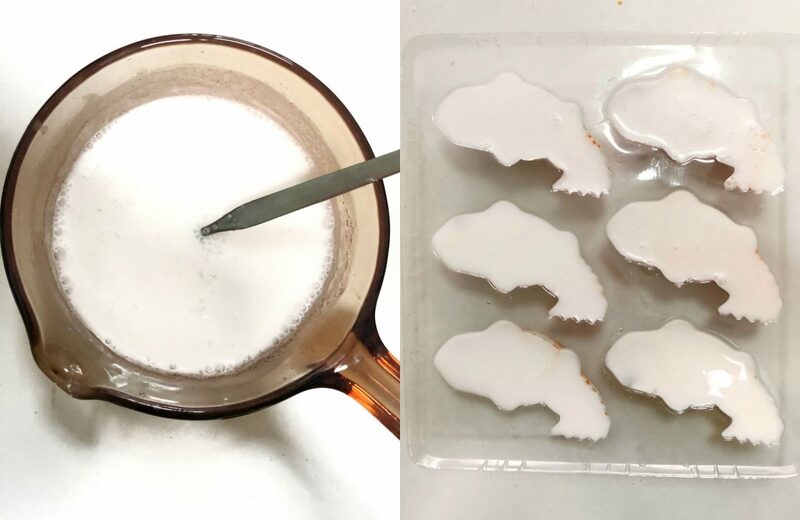 For this recipe, I use 2 sets of the smaller moulds. If you’re trying to make a statement at the table, feel free to use the bigger moulds. It may look abit ugly at this point in time but not to worry, you just need the colors to set awhile in the fridge before you finish pouring the remainder in the mould. 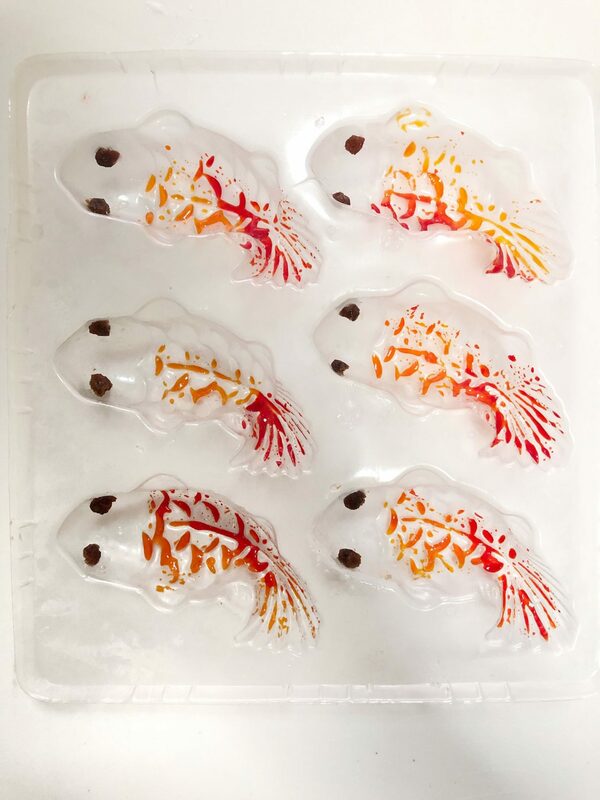 Set the fish jelly moulds in the fridge for 5 mins. In the meantime, pour the coconut milk into the remaining boiled jelly. Let cool till lukewarm. 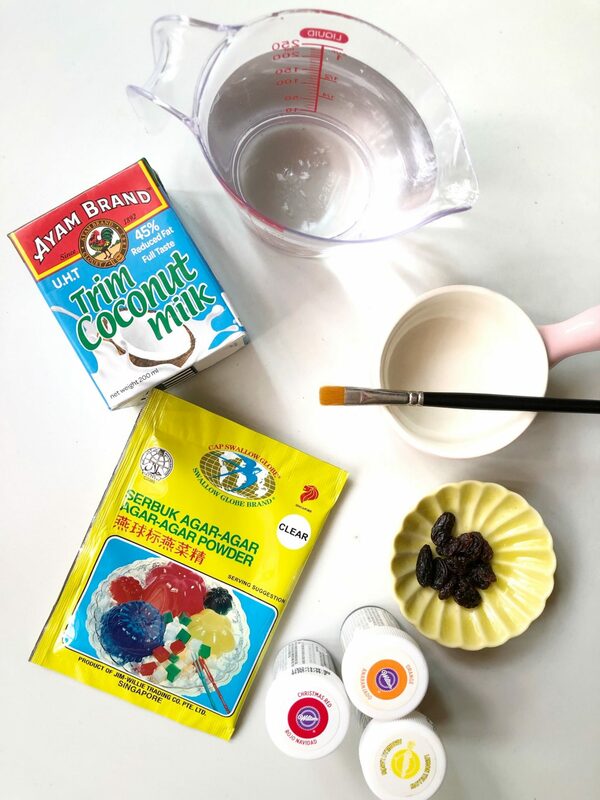 Remove refrigerated jelly moulds from the fridge and pour the coconut jelly mixture over. Place mould back into the fridge to set for a few hours. Unmould the fishes from the Mould and enjoy!